Generally speaking, roof trusses are structurally engineered and manufactured by a licensed truss company, sent to you with a stamped copy of plans. However, if you wish to make roof trusses yourself, providing the trusses are non-structural, follow some basic guidelines carefully, and you too can make your own quality roof trusses. Gather together your rafters, collar ties, vertical members, and fascia board. An overhang of 3 ft. at the gable end may require conventional headers and cripples. 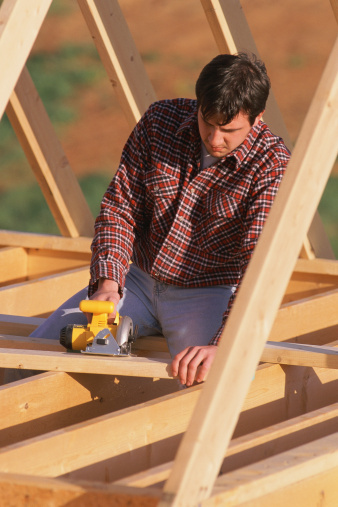 Find a large open space for constructing your roof trusses. You will make them on the ground and then have them raised into place when finished. 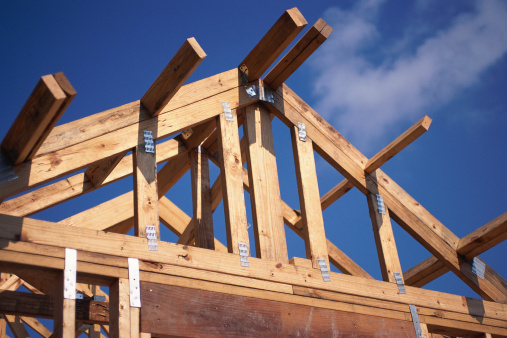 Start your roof truss with a standard triangular layout. You will have a bottom chord, or a 2 by 4, along the bottom. Your top chord 2 by 4s attach to each end of the bottom chord and connect in the top center to form your triangle. From the top point down to the center of the bottom chord is a 2 by 4 called a truss web. There are also two other truss webs diagonal from the center of the bottom chord extended up to the center of both top chords. Attach each 2 by 4 to the next using a gusset. Those made in the factory are usually metal and have sharp metal prongs that extend out which are used in place of nails to hold everything together. Homemade trusses are made from small square pieces of wood. These are nailed onto both ends of the chords they are connecting. This is a secure way of tying the ends together. Attach collar ties, which are 2 by 4 pieces, from one top chord across to the other. These are also held together by gussets. Collar ties are used when more roof truss strength is needed. 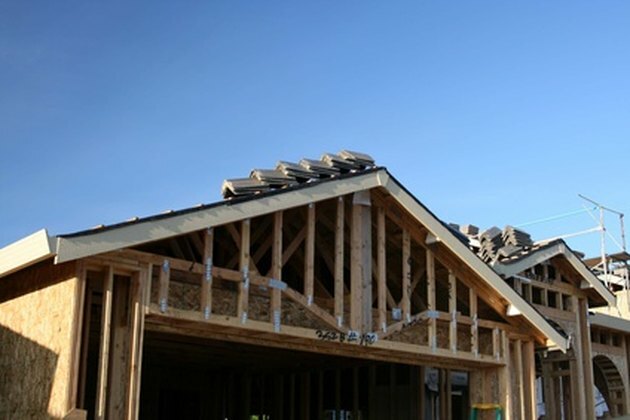 Fascia board is used on the outside of the roof trusses, after they are constructed, for appearance. The fascia board is non structural.